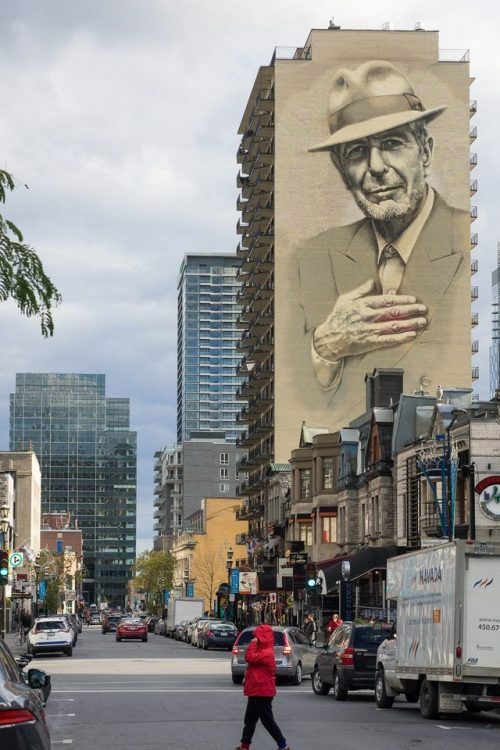 It’s hard to believe that Leonard Cohen has been gone for a year, but this week his hometown of Montreal marked his passing with a wonderful mural portrait in the heart of downtown. 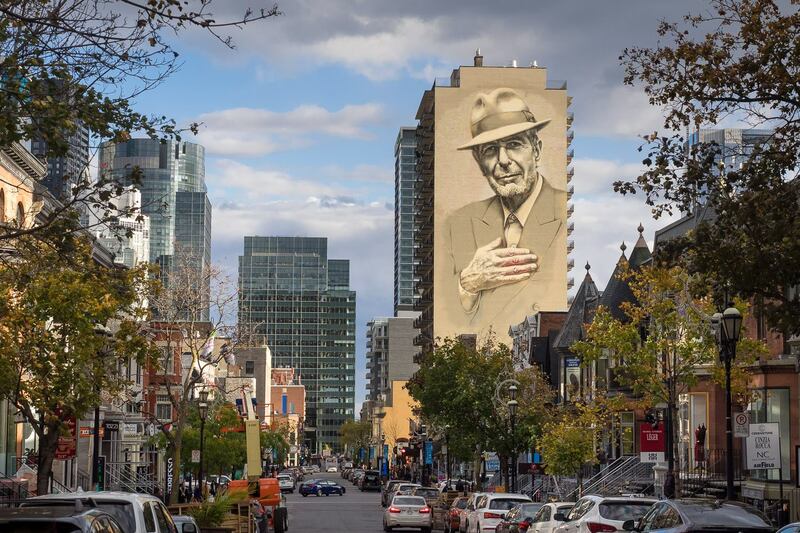 Created by LA-based artist El Mac, the enormous painting took 10 weeks, 100 gallons of paint, and 240 cans of spray paint. 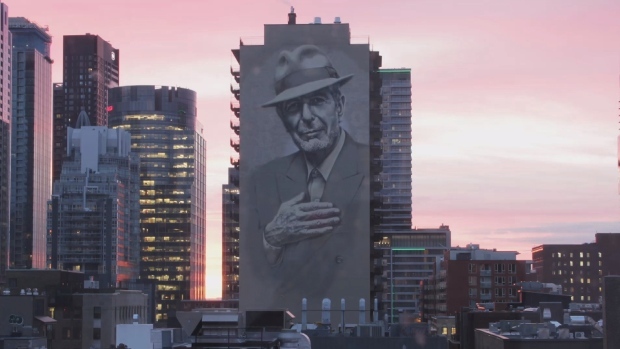 The moving image is based on a 2008 photo of the iconic poet/singer/songwriter/novelist taken by his daughter Lorca Cohen. 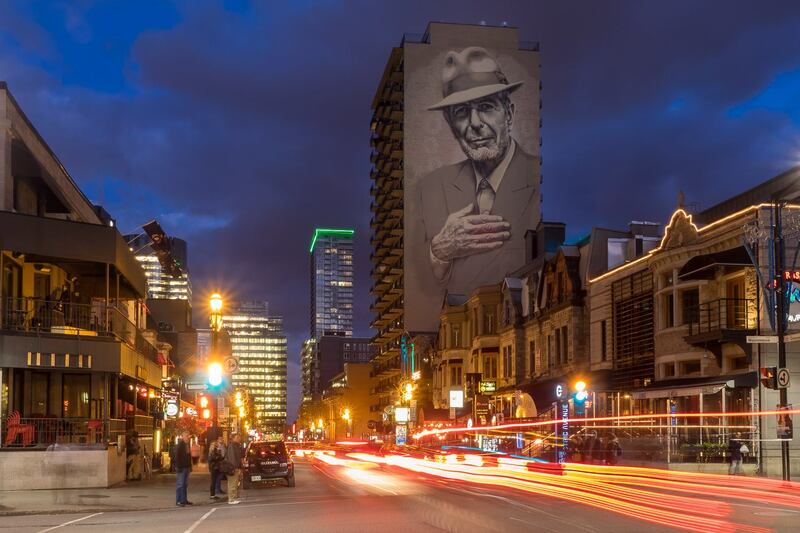 This entry was posted in Art, Canada, Music, Photography and tagged Leonard Cohen, Montreal, Mural Art, Street Art. Bookmark the permalink.